How exciting. 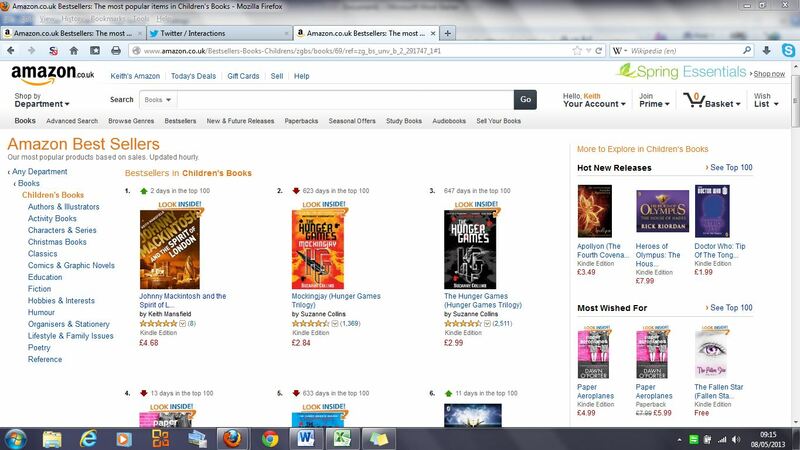 As I write, Johnny Mackintosh and the Spirit of London is, for the second day, the number one title on Amazon’s list of Children’s book bestsellers, having displaced Suzanne Collins’ Mockingjay from The Hunger Games series. Further down we find Percy Jackson, The Hobbit, The Curious Incident of the Dog in the Night-Time, Diary of a Wimpy Kid and even Key Stage Three Mathematics Revision Guide. No photoshopping has been done on this screenshot (honest!). One of the biggest hurdles for many writers is showing their work to others. When I’ve been in writing workshops, a point I sometimes make to shy authors is that, if you want to be published, your work will be read. People will begin to comment on it, and it stops being your personal story, instead being owned by your readers. That’s tough because there’s no more personal, individual work of art than a book. Compared with a movie where hundreds of people can be responsible for the creative vision, with a book it’s a single person. But we write because we love telling stories – we can’t help it – and most authors want their work to be read by as many people as possible, even if it’s a little humbling and daunting. 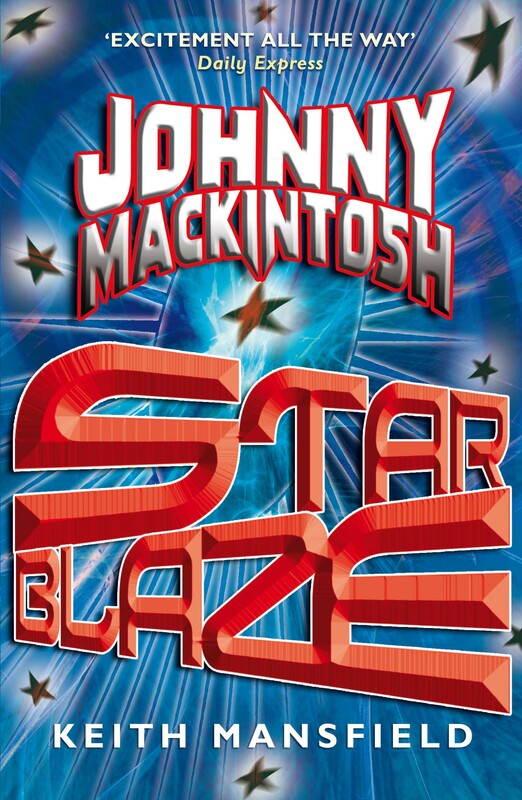 It’s great that more readers are being introduced to Johnny’s story, and encourages me to get moving on book four!